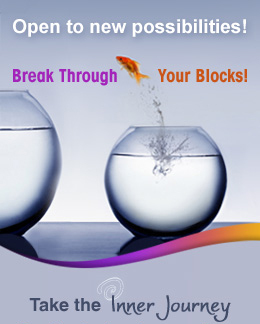 We all have blocks in our lives and as we grow, so do our types of life challenges. We all have aspirations and dreams in our life to learn and grow into. Often they relate. Identify your blocks and aspirations from the lists below and click on the word for a list of appropriate site resources. The tools marked with ** are more detailed workbooks, 'how to' processes and email programs. The other links are resources, lists, tools, quotes, new ways, consciousness shifters, questions or worksheets. Become a member and ALL resources below are activated. Watch for regular additions to this 'Blocks and Solutions' (Needs) directory. 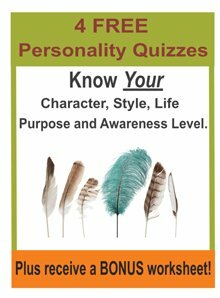 As a Higher Awareness member you get access to this complete list of Personal and Spiritual Growth Resources. Indexer, Tracker - Measure what is important to you. See how you are progressing. Feeling Finder - Add more dimension to your feeling nature. One Word Essence Journaling - No time to journal? Write just one word. Headlining - Use creative 7 word headlines to capture the day. Dream Day - Idealize your perfect day, week, month, year so you can begin to live them. "Be Smart" Goal Setting - A success formula for setting goals. Log Sheet - Create order out of chaos. Hot List - Keep handy your list of most important things to journal about. Creed - Be clear about what you want, who you are, where you are going? Space Making - Ways to create more space in your life. **Decision Making on One Page - Make clearer, more creative and more fun choices. Unsent Release Letters - A very healing way to let go of the past. Healing � A learning and integration process. Healing the Past with the 4 E�s - Heal the past by working with your imagination in the present. Steppingstones - Create a meaningful life history log. ** Unraveling Subconscious Shadows - What are your challenges and life lessons? Subconscious Influences - What influences who we are? Art Work - Allow your inner artist to share its wisdom. Poetry - Let the beauty and rhythm of words share their feelings. Free Writing - Write from the depths of your soul. Imagery or Captured Moments - Re-experience the depths of peak events. Intuition Blocks- What filters, distorts and stops your intuition? Top down, bottom up connections � Ground the abstract, find meaning in details. Shifting from Inner to Outer Focus - Increase action and outer results. Shifting from Outer to Inner Focus - Be more reflective and relaxed. Correspondences or Multi-Lists - Assist your mind in making connections. **Manifesting on One Page - 9 steps to creating what you desire. Consciousness - Track your growth. Identify your next growth step. What's the big picture for your life? - Challenges make more sense from bigger perspectives. Challenged by Your Relationships? Good! 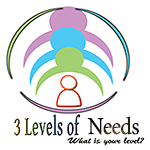 - See how your soul is the underlying guide to all relationships. ** Manifesting Abundance Workbook - Create the life you want to live. Money - What is it? What do you semi-consciously believe about $? Money Affirmations - 50 ways to clearly state your abundance.